The majority of Hollywood’s offerings get forgotten, but some avoid such obscurity by employing a cast of well-known actors, even if the story is nothing special. In the case of Operation: Endgame the bottle of Celeb Juice remained unopened, stirring my curiosity as to why the movie was on video before I even knew about its (brief) theatrical run. Then I saw the movie…and now I understand. First-time director Fouad Mikati‘s Operation: Endgame depicts the battle between two clandestine government operative groups called Alpha and Omega. Forced to coexist in an underground facility, they engage in a race against time and each other as they try to circumvent the facility’s self-destruct system that triggers after their boss (Jeffrey Tambor) is killed. Even though the story’s point of view is that of the bumbling rookie (Joe Anderson), the real driver of the movie is comedian Rob Corddry, who plays the perhaps not so coincidentally named Chariot. Corddry plays a veteran agent who spends his days in a drunken, belligerent haze, swigging booze out of a flask shaped like a handgun (an excellent prop). But despite his vice, Chariot quickly becomes the standalone hero in a movie that isn’t supposed to be about him. Corddry’s commitment to the mercurial character is the only reason why viewers can remember that this is a movie at all, as opposed to a cameo-riddled music video by an experimental artist who specializes in uninspired wit and cartoonishly telegraphed crescendos. For the most part, the entire cast played its parts with typical aplomb. Ellen Barkin, as Empress, plays the same middle-age-defying spitfire she has been since the early ‘00s, confirming that no one does it better than she does in this generation. 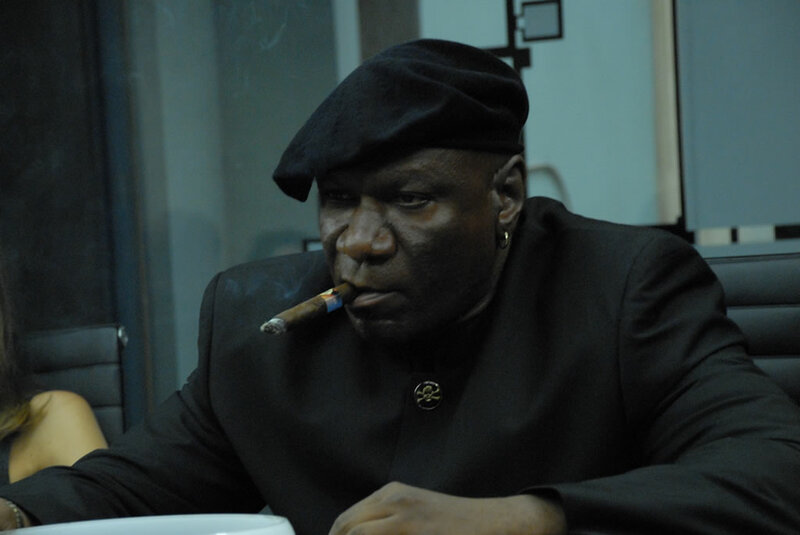 Ving Rhames portrays Judgment and demonstrates that this movie is nothing more than a payday. Watching him revive Mission: Impossible’s Luther Stickell again, but with even cheesier dialogue (is there a step below one-dimensional? ), is an unpleasant experience for everyone on screen and off. Spoiler alert: when he dies, it’s sweet relief for everyone, Rhames included. One of the more enigmatic characters is Hermit, played by comedian Zach Galifianakis. Galifianakis seems to be on his way to understated (and therefore more brilliant), Jack Black status with his recent appearances in The Hangover and Due Date. Unfortunately, the Hermit’s rich back story only gets see-and-say lip service (the “bearded tampon” line was pretty good, though). One might conclude that, based on accents, Australians are to the British as Texans are to Americans. While Lost star Emelie de Ravin cannot single-handedly dispel this analogy, she proves that the Aussie accent is not transferable to the Southern accent, despite their similarities. Usually quite good at hiding her Australian accent when she needs to, de Ravin couldn’t be more annoying as the psychotic Hierophant. The only thing she could have done to redeem her performance was say that there was no basement in the Alamo (no offense, Jan Hooks). The rest of the cast ranges from your typically underweight (Maggie Q, Odette Yustman) to your recognizable, though not by name (Brandon T. Jackson, Michael Hitchcock), all of which do fine performances in a movie that suffers from unnecessary-plot-twist-itis or lame-storyosis (test results still pending). Ultimately, “Operation: Endgame” is an example what a movie might look like if the director mailed scripts to his cast, told them to study them and show up to the set in a week. Then, when they ask about rehearsals, the filmmaker says, ‘Oh, you’re actors; I trust you. We’re only rehearsing the fight scenes’ (which are actually pretty good). So every actor portrays they think their characters would do regardless of how it works opposite their scene partners. With that approach, it only makes sense that the Corddry, the most seasoned improviser of them all, would be the only one to inject some life into a movie that could have been better if it had decided to be anything else but the love child of Dr. Strangelove, Clue, and Smoking Aces .